PUNE, INDIA, May 31, 2017 /EINPresswire.com/ — Alcoholic drinks consumption is witnessing high growth and is directly influencing the alcoholic drinks packaging market. The Alcoholic drinks packaging market is expected to reach $33.14 billion by 2020 at a CAGR of 4.6% from estimate of $25.30 billion in 2014. Alcoholic drinks packaging market continues to witness high growth with Increase in consumer spending towards recreational activities and rising social acceptance of alcoholic drinks leading to sustained increase in the demand for alcoholic drink product. The drinking culture and special activities like “Octoberfest” has further spurred up the demand for alcoholic drinks. Packaging has played an important role, with wide range of offerings by alcoholic drink manufacturers contributing to the market growth. Even though, glass is the major material used for packaging, plastic packaging for alcoholic beverages is also available in some of the developing countries. Apart from these, metal cans and PET bottles are also being used for alcoholic drinks packaging. The social class difference like that of between, upper middle class, middle class and rural population and the different between their consumption patterns is driving the demand of packaging solutions. The demand for packaging solutions for different alcoholic drinks like wine, whiskey, beer, vodka and others will continue to witness growth in near future. The robust retail market and improving economic activity in some of the major developing countries and North America will drive the consumption of alcoholic drinks. The Global Alcoholic Drinks Packaging market is segmented on the basis of primary material (Plastic, Paper, Metal, Glass and Others), Alcoholic drinks products (Beer, Spirits, Wine, Ready to drink and others), Products (Bottles, Cans, Cartons and Boxes, Pouches and others), and Geography (North America, Europe, Asia Pacific, Latin America and Middle East & Africa). This report describes a detailed study of the Porter’s five forces analysis of the market. All the five major factors in these markets have been quantified using the internal key parameters governing each of them. It also covers the market landscape of these players which includes the key growth strategies, geographical footprint, and competition analysis. The report also considers key trends that will impact the industry and profiles of leading suppliers of Alcoholic drinks packaging Market. Some of the top companies mentioned in the report are Amcor Limited, Ball Corporation, Mondi PLC, Rexam PLC, Saint Gobain, Tetra Laval, Crown Holdings, Sidel, and Krones AG. Market Definition for Global Alcoholic drinks Packaging Market along with identification of key drivers and restraints for the market. Market analysis for the Global Alcoholic drinks Packaging Market with region specific assessments and competition analysis on a global and regional scale. Identification and analysis of the Macro and Micro factors that affect the Global Alcoholic Drinks Packaging Market on both global and regional scale. WiseGuyReports.Com Publish a New Market Research Report On – “Baked Savory Snacks 2017 Global Market Expected to Grow at CAGR 4.03% and Forecast to 2020”. The analysts forecast the global baked savory snacks to grow at a CAGR of 4.03% during the period 2016-2020. Baked savory snacks fall under the snacks food category; The ingredients mainly used in baked savory snacks include potato, corn, nuts, seeds, wheat, rice, tapioca, and oats. Baked savory snacks are consumed in between meals. Their consumption has increased as breakfast items, after dinner snacks, and food items for social gatherings and celebrations. The report covers the present scenario and the growth prospects of the global baked savory snacks for 2016-2020. To calculate the market size, the report provides each of the leading vendor's performance and market positions in terms of experience, product portfolio, geographical presence, and financial condition. The report, Global Baked Savory Snacks 2016-2020, has been prepared based on an in-depth market analysis with inputs from industry experts. The report covers the market landscape and its growth prospects over the coming years. The report also includes a discussion of the key vendors operating in this market. • Rapidly changing consumption pattern. • Rising popularity of competitive products. • Increasing penetration of media and entertainment industry. 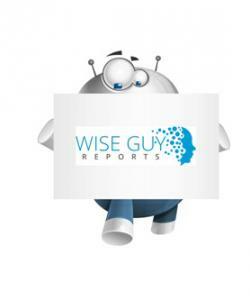 Market Analysis Research Report on “Global Flavoured Milk Market 2017 Industry Growth, Size, Trends, Share and Forecast to 2022” to their research database. This report studies Flavoured Milk in Global Market, especially in North America, China, Europe, Southeast Asia, Japan and India, with production, revenue, consumption, import and export in these regions, from 2012 to 2016, and forecast to 2022. 8.12 Yili Industrial Group Co. Ltd.
PUNE, MAHARASHTRA, INDIA, May 31, 2017 /EINPresswire.com/ — Market Research Future published a Half Cooked Research Report (HCRR) on Global Fortified Beverages Market which is Estimated to Grow at a CAGR OF 7.50% after 2023. Fortified beverages offer extra micronutrients which includes essential minerals and vitamins to meet the daily nutrition intake. Fortification of beverages involves the process of adding micronutrients to beverages which are generally consumed by the different age group consumers. Fortified beverages offer diverse range of products, enriched with nutrients. According to the FAO most common fortified beverages is milk based beverages, as milk is consumed on a daily based across the globe. Fortified beverages comes in various types such as fruit juices, sports drinks, energy drinks, milk based beverages, mineral water, flavored instant beverage mixes, soft drinks and others. The demand of the fortified beverages is increasing due to the changing lifestyle coupled with the growing consumer awareness and rising health & wellness concern. Global natural Fortified Beverages Market is highly concentrated in North America. APAC has massive potential for fortified beverages, as there is an increasing consumer awareness regarding the fortified beverages coupled with the per capita disposable income is anticipated to fuel the sales of fortified beverages during the forecast period. The Global Fortified Beverages are anticipated to be driven by increasing health conscious consumers in developed economies. Also, the awareness about healthy lifestyle among consumers in developing economies is supporting the growth of fortified beverages market. Key players are also emphasizing into the new product launch in the developed nations in order to acquire new consumer base. Also, the manufactures are launching their new products in various food & beverages exhibitions to create awareness of their products which in turn will accelerate the sales of fortified beverages in the near future. Fortified beverages are also gaining momentum due to the strong initiative taken by the World Health Organization (WHO) and Food & Agriculture Organization (FAO) for minimizing the occurrence of malnutrition. Vitamin segment is estimated to account maximum market proportion during the forecast period of 2017 to 2023.However; Mineral segment is also estimated to register steady growth in the near future. In terms of product type, alcoholic product is estimated to retain its dominance over the reviewed period also register substantial growth. Furthermore, fruit juices is estimated to account maximum market proportion in the non-alcoholic fortified beverages product in 2017. In terms of distribution channel, supermarkets & hypermarkets is likely to hold maximum market proportion during the forecast period. PUNE, MAHARASHTRA, INDIA, May 31, 2017 /EINPresswire.com/ — Market Research Future Published a Half Cooked Research Report (HCRR) on the Global Real and Compound Chocolate Market has been Estimated to Grow over 7% post 2022. Changing preferences of the direct consumption choice by the consumer, especially dark chocolate which is considered to be healthy, has application in various confectionaries and dairy products is driving real chocolate sales. Globally, there has been increase in preferences for the fat-free and healthy food products by the consumers. Major real chocolate companies are tapping into people's growing health and wellness concerns by improving the nutritional profile of its chocolates portfolio. Major companies have also invested in vending machines, so as to create awareness, advertise new products, and also to get feedback from the consumers. Among major applications of compound chocolate, choco-dipped strawberries has gained higher demand which has increased the potential growth of compound chocolate. Overall, increasing industrial demand from confectionery, chocolate processing bakery foods, and beverages will have a positive impact on the global real and compound chocolate market. Hence, the global real and compound chocolate market has been estimated to grow over 7% post 2022.